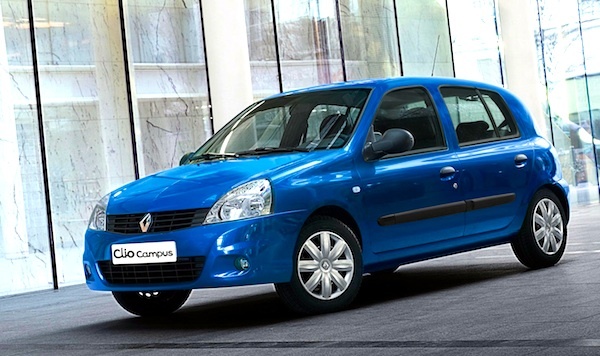 The Renault Clio has been the best-seller in Slovenia for at least the last 16 years. Detailed Slovenian Historical Data covering the last 15 years is now available on BestSellingCarsBlog, with the Renault Clio dominating the sales charts over the period, and even since all the way back to 1998 when the second generation of the nameplate started being produced locally – a total of 20 consecutive years. French models are truly successful here: the Peugeot 206 ranked #2 in 2003 and 2004, the Renault Megane did so in 2005, 2010, 2011 and 2012, the Renault Scenic in 2006 and the Peugeot 207 in 2007. The Fiat Punto, Kia Cee’d, VW Golf and Skoda Octavia have also been very popular recently. previous post: Slovenia January 2014: VW Polo #1, Renault Captur above Clio!